Donated by: Eric Lording, HP Australia. The 9820A was introduced in 1972, with a similar industrial design to the 9810A. It was expandable via ROM blocks, but these ROM vlocks were not compatible with the 9810A. The 9820A was an algebraic calculator with a single-line LED display. 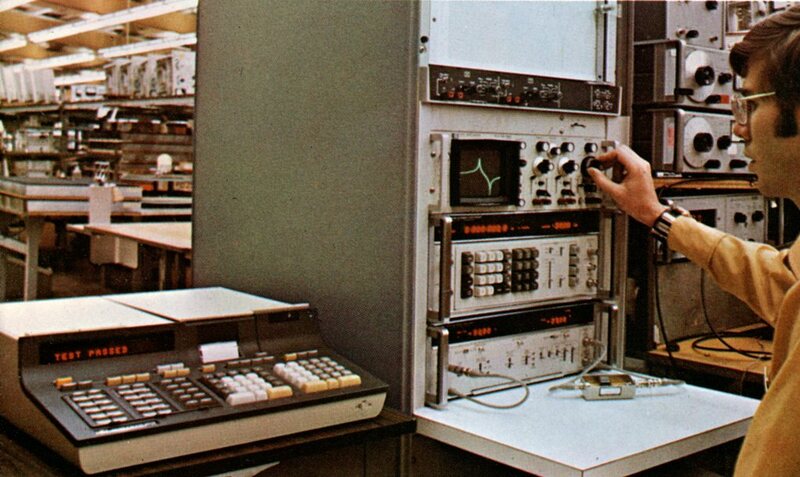 It came standard with a magnetic card reader and internal 16-character thermal printer. To download an emulator of HP 9800 Series computers (9810, 9820 and 9830), visit Achim Burger's site at: http://sourceforge.net/projects/hp9800e. 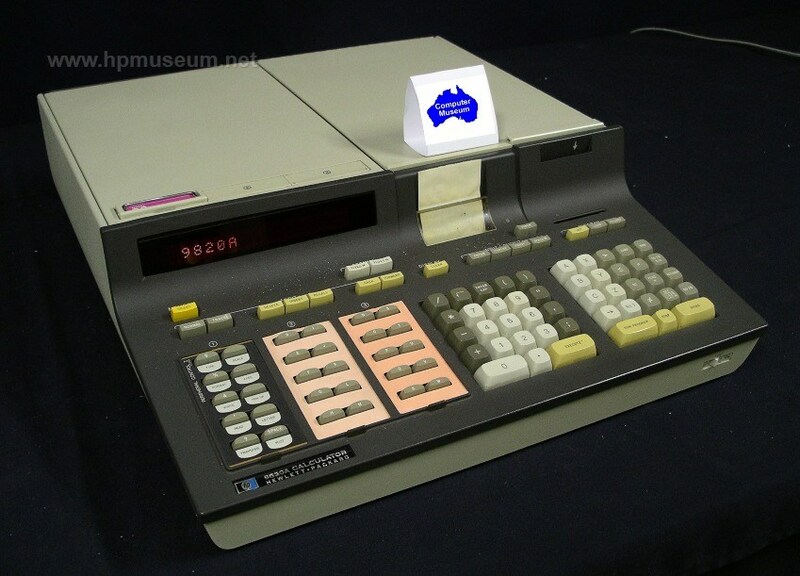 The museum has two fully functioning 9820 and one partially functioning unit. The most common failure mode for these machines is no display on power up. This is usually caused by a failure on one of the pluggable PCBs inside the machine. If you have a functioning unit, you can determine which of the internal boards is bad by board swapping. Some of the PCBs in the 9820 are also common to the 9810 and the 9830. So, these computers are a source for swapping some of the boards in the 9820. Almost all original 9810 and 9820 computers have defective magnetic card readers. The soft drive wheels on these assemblies become gooey over time and will not properly grip the cards. Click here for instructions on how to fix the drive wheels. The best resource for repairing these computers is Tony Duell's 98X0 repair manual which can be found here.